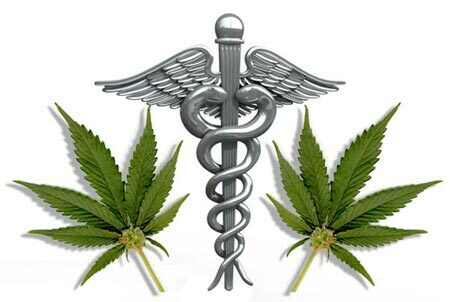 Last week, I reported that the State Bar of Arizona has issued an ethics opinion that guides Arizona lawyers who may advise clients in regard to the recently passed Medical Marijuana Act. The complete opinion is here. The path here has been rocky, to say the least. First, there was some misunderstanding about whether the Bar had taken a position on whether lawyers could assist clients when there was a conflict between a new state law and federal prosecution. Many in the media and the public were dazed and confused. It even led one news outlet to say the Bar’s position obstructed justice. Following that, the Bar clarified its stance, saying it had not taken a formal position. Of course, now it has, through its newest ethics opinion. Will Humble, Director of the Arizona Department of Health Services: Medical Marijuana: Recreation or Medicine? Before the CLE, here is a radio news interview (via KJZZ) with Arizona lawyer Christopher Mason regarding workplace aspects of the new law. 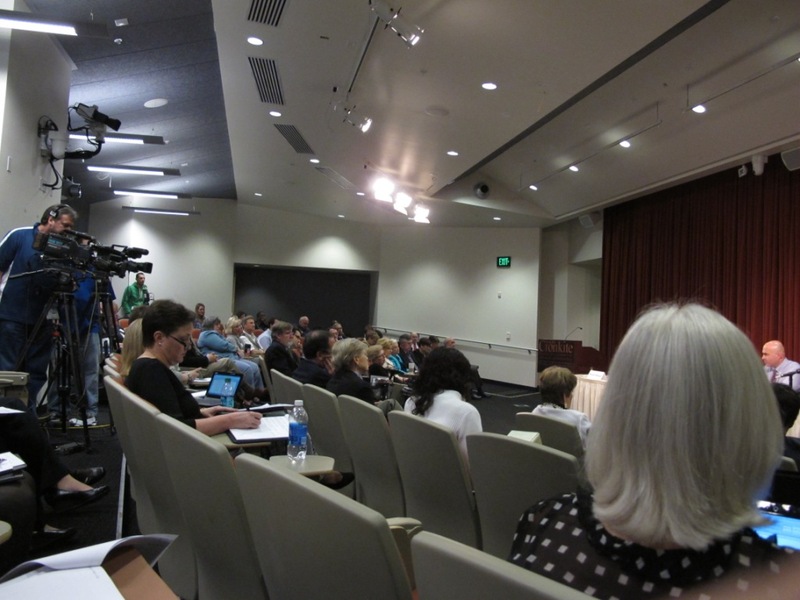 A week ago today, The Rehnquist Center at the University of Arizona Law School hosted a program on courts and New Media. The full title was Public Understanding of the Courts in the Age of New Media. New Media – Is it Changing the Coverage and Conduct of Trial Court Proceedings? Hon. Virginia Kendall, U.S. District Court, N.D. Ill. The afternoon panels include a lunch keynote by Hon. Sandra Day O’Connor, which I was disappointed to have to miss. The presentations I saw were quite good. But they also put me in mind of how advanced Arizona already is in terms of some of the topics addressed. For instance, while other jurisdictions wrestle with media in the courtroom and developing media-use policies for jurors, many of our courts have had such policies in place for years. And can we stop calling it “New Media”? Do we really have to wait until our younger cohorts openly smirk as we ramble on about “logging on” to the World Wide Web, or the “Internets”? It’s just media, folks, which happens to be new. And not even so new anymore. I mean, when was the last time you marveled about your fax machine, or the scanner at the supermarket? (Apologies to George Bush I). Judge Virginia Kendall at #barmedia – Instinctively we are Googlers, jurors too. It’s all about instruction and control. Audience Q at #barmedia – Use of term “nutty blogger” suggests mainstream media are not nutty. It’s fascinating in #barmedia session how decline of mainstream media is accepted as a given. The struggles are no secret. #barmedia Numerous poignant tributes to Judge John Roll at this conference. He was obviously loved and respected. Sandra Day O’Connor is speaking to #barmedia conf. She is funny, spunky and practical. Decrying lack of Civics classes. Straight-talker! #barmedia Judge says tbere are 4 kinds of high profile cases. Celebrity, issues, sensational and political. PHOENIX – The State Bar of Arizona’s Committee on the Rules of Professional Conduct has issued an opinion that says lawyers may assist clients in complying with the state’s new Medical Marijuana Act. The issue arose because of a conflict between state and federal law, and that conflict’s intersection with legal ethics. Although Arizona’s new law legalizes medical marijuana in the state, federal law still prohibits the manufacture, distribution or possession with intent to distribute. An ethical rule prohibits a lawyer from counseling or assisting a client in conduct that the lawyer knows is criminal or fraudulent. The client knowingly decides to move forward with full knowledge of conflicting federal law. The opinion notes that no court opinion has held that Arizona’s law is invalid or unenforceable and that the federal government has essentially carved out a safe harbor for some conduct that is in “clear and unambiguous compliance” with state law. “In any potential conflict between state and federal authority, such as may be presented by the interplay between the Act and federal law, lawyers have a critical role to perform in the activities that will lead to the proper resolution of the controversy,” according to the opinion. The opinion is strictly limited to the unusual circumstances created by the adoption of Arizona’s new Medical Marijuana Act. Any court ruling that affects the Act may also affect the opinion. State Bar ethics opinions are advisory in nature only and are not binding in any disciplinary or other legal proceedings. 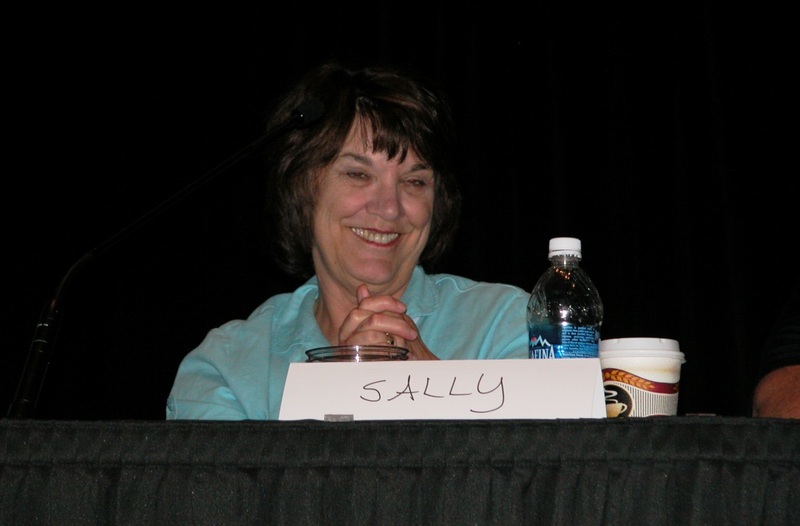 Thursday, February 24, 2011 – The Arizona Supreme Court has appointed the Honorable Sarah R. (“Sally”) Simmons as the new Presiding Judge in Pima County. She will replace Judge Jan Kearny, who will leave the post as presiding judge on May 13, 2011. 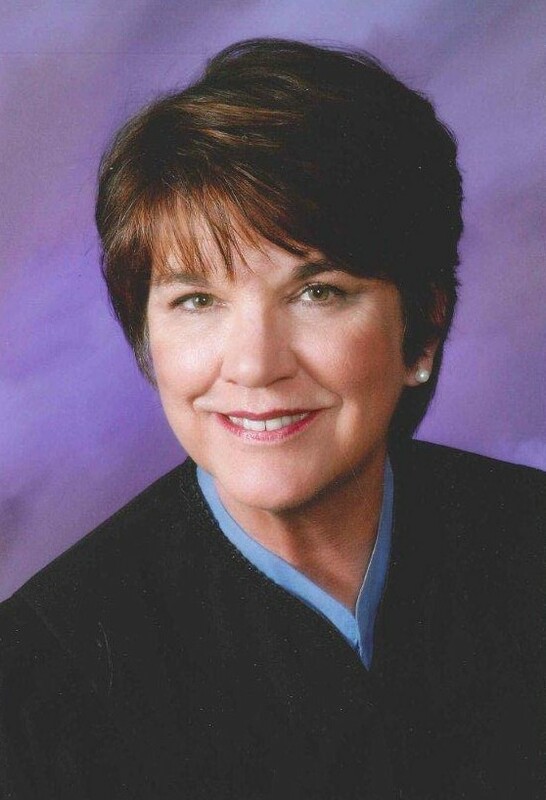 Judge Simmons is currently presiding judge of the Pima County Juvenile Court and served as presiding judge of the Family Law bench in Pima County from January 2007-March 2009. She is also chair of the Supreme Court’s Committee on Juvenile Courts, is a member of the Arizona Commission on Judicial Performance Review and has served on the Domestic Relations Committee and the Child Support Guidelines Review Committee. She currently is a member of the Children’s Action Alliance Juvenile Justice Committee and is co-lead judge for the Pima County Juvenile Court Model Court Work Group and the Pima County Juvenile Court Juvenile Justice Executive Board. Judge Simmons was raised in Miami, Arizona and graduated from the University of Arizona with high honors in 1970 with a degree in history. She attended the University of Arizona College of Law for two years and then transferred to the University of Denver, where she received her J.D. with high honors in 1973. Judge Simmons practiced in Denver for a short time before coming to Tucson to work at the law firm of Molloy, Jones and Donahue, P.C. She worked at that firm as an associate from 1974-1977 and as a shareholder from 1978-1992. She was employed at the law firm of Brown & Bain, P.A. from 1993-94 and was a shareholder in that firm from 1994-2002. In 2002, Judge Simmons became a partner at the law firm of Lewis and Roca LLP, and she served in that capacity until her appointment to the bench in January 2006. Judge Simmons has been active in both bar association and community activities. She was president of the State Bar of Arizona in 1993-94, having served as a member of the Board of Governors from 1987-95. She was a member of the Pima County Bar Association Board of Directors from 1985-95. Judge Simmons was the first chair of the State Bar of Arizona’s Committee on Persons with Disabilities in the Legal Profession, serving in that capacity from 2000-2005. In the Tucson community, Judge Simmons currently serves as an emeritus member of the DM-50 Board of Directors. She is a member of the University of Arizona James E. Rogers College of Law’s Law College Association Board of Directors and Board of Visitors, having been president of the former and co-chair of the latter. She has also been president of the Tohono Chul Park Board of Directors, the Metropolitan Tucson Convention and Visitors Bureau, a member of the Tucson Airport Authority and its Board of Directors, and has served on numerous other charitable or civic boards, including the Arizona Town Hall and the United Way. Judge Simmons was the Tucson Chamber of Commerce Woman of the Year in 1994, and she was a recipient of the YWCA Women on the Move Award in 1995. She received the Women’s Studies Advisory Council Women Who Lead Award in 2003, the Southern Arizona chapter of the Arizona Women Lawyers Alice Truman Award in 2003 and an Inside Tucson Business Woman of Influence designation in 2005. Judge Simmons was named one of the 100 Minorities and Women in the Law by the State Bar of Arizona/Maricopa County Bar in 2001, was the co-member of the year for the State Bar in 2004, and was named one of the top 50 pro bono attorneys in Arizona by the Arizona Foundation for Legal Services and Education in 2004. For information about the Arizona Judicial Branch, visit here. For information about the Pima County Superior Court, visit here. Sometimes you plan. And sometimes you’re lucky. This week, the latter strategy benefited us here at the State Bar of Arizona. And I think it benefits Arizona lawyers too. It is the wonderful coincidence of Arizona Attorney Magazine articles and a pending CLE on the identical topic. My confession of fortune’s guiding hand has to do with what looks like a terrific CLE tomorrow (yes, tomorrow!). It is on the topic of the economic loss rule. Wait, WAIT! Don’t hit the Back button. Bear with me. The ELR is seriously cool stuff, especially here in Arizona. And especially when it is illustrated by experts. Here is the link to the seminar. Click it now, while the ELR rapture has you in its talons. To hesitate and perhaps surf away would be to condemn yourself to forever misunderstanding the odd admixture of tort and contract that the Supreme Court had to address. Don’t do that to yourself. Click. Click. Click. Our magazine stories were not written by any honorables, just by practicing lawyers: Tom Lordan and Craig LaChance. But I still urge you to read their take on the ELR. I think their articles are the kind that you rip out of the magazine and save for a rainy, ELR day, when your client is faced with a similar situation. They are just that good. To help you understand the ELR, here is our introduction to our March issue special feature. And don’t forget to CLICK. 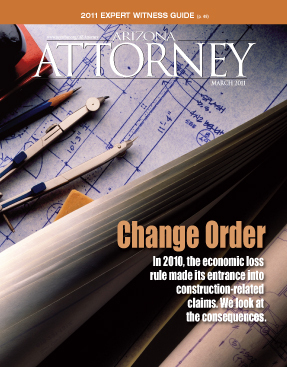 An Arizona city was the location for last year’s noteworthy development in how courts will construe the economic loss rule. When a unanimous Arizona Supreme Court decided Flagstaff Affordable Housing Limited Partnership v. Design Alliance, Inc. last February, it applied the economic loss rule to bar a construction-related claim for the first time. In the case, an owner set out to construct affordable residential housing that would comply with accessibility guidelines established in the Fair Housing Act. The owner hired an architect to develop plans that met the guidelines. Upon review, the U.S. Department of Housing and Urban Development determined that it failed to comply, and sued the owner. HUD and the owner eventually settled—which is when the owner sued the architect for negligent design, seeking recovery of its costs in complying with HUD’s requirements. Ultimately, the Supreme Court remanded the case to the Superior Court to determine whether the contract preserved tort remedies. The Court reasoned that in construction defect cases involving only repair and replacement of the construction work itself—not personal injury, death or other property damage—there are no strong policy reasons to impose common law tort liability in addition to contractual remedies. The following articles describe the case in more detail, and they point to business consequences that may flow from it. 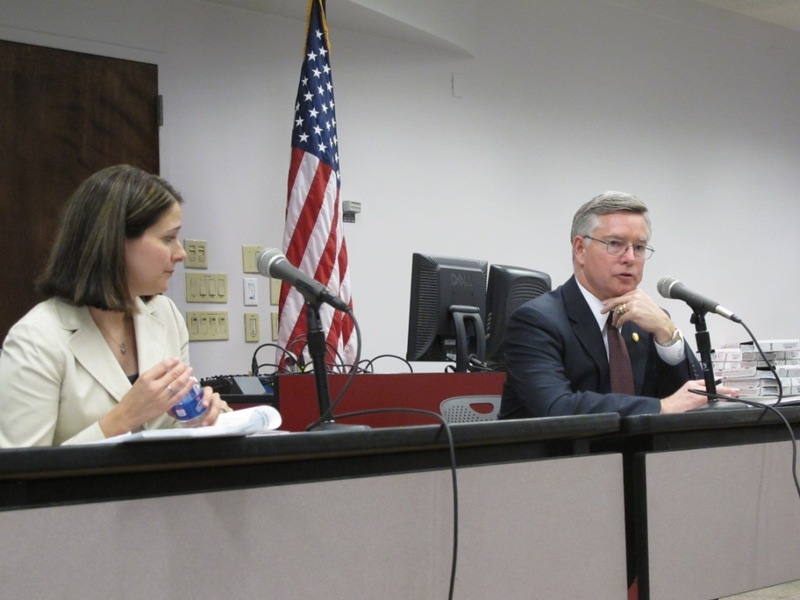 Last week, I attended a debate on criminal sentencing reform, hosted by the ASU Law School. I already posted one photo from the event. Those seeking a preview of future Arizona-centric battles over criminal sentencing reform gained some insight at a February 14 event. At the ASU Sandra Day O’Connor College of Law, a debate—of sorts—was waged between law professor Carissa Hessick and Maricopa County Attorney Bill Montgomery. 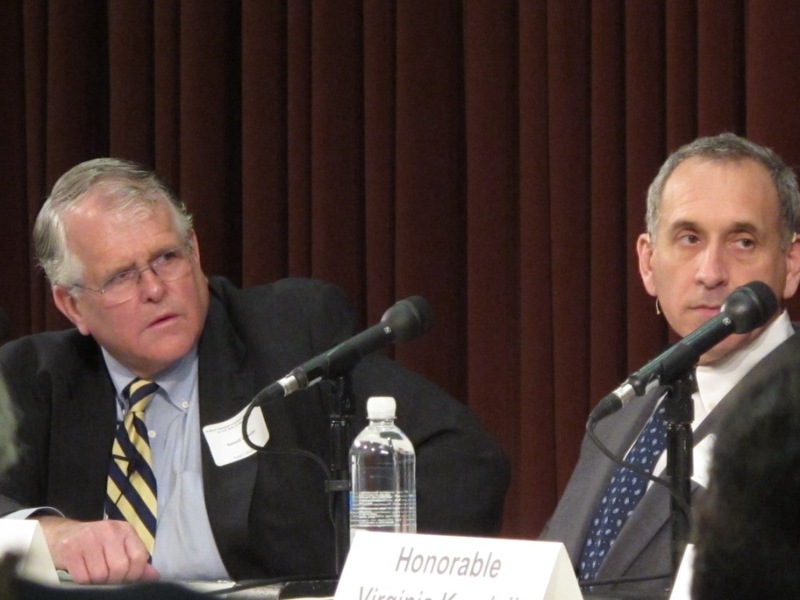 The two advocates—Hessick resisted calling them “adversaries,” at least during the debate’s first half—came to the topic following an ample and growing history of sentencing reform struggles, both national and local. As one state after another finds itself pinching even the slimmest of pennies, the cost of long prison incarceration has come under fire. What was most struck me at the event—and likely struck many people who packed the classroom that day—was the veto power held by one person over the topic. Or, rather, by one position. 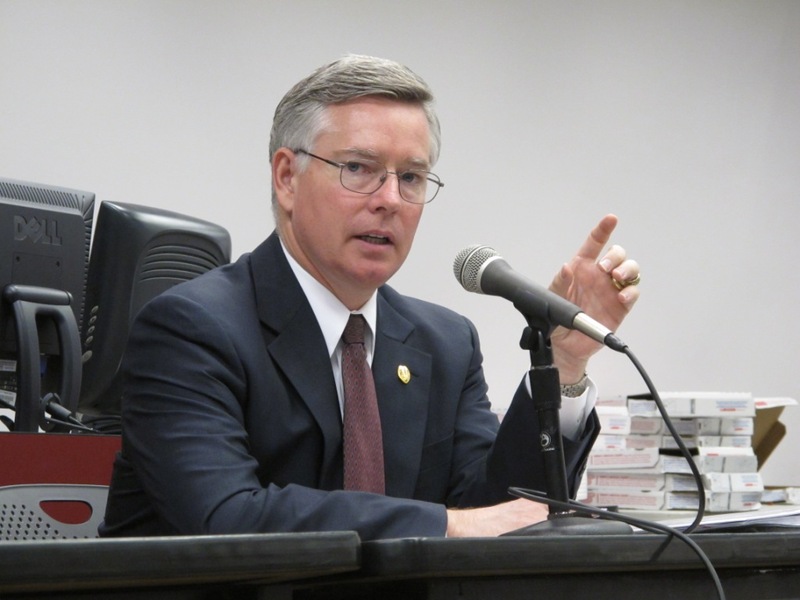 As Professor Carissa Hessick herself said, County Attorney Bill Montgomery, an ASU Law graduate, is now one of the most powerful attorneys in the state. And there he was, in a debate on proposals to alter our sentencing structure in ways that may save the state millions of dollars, and, according to some, be more effective than our current regime. Of course, intelligent minds may differ on matters of policy. But some minds are more crucial to a debate than others. Even in a state where there are lead prosecutors in every county, the Maricopa County Attorney is the lion at the party. His office handles far more criminal matters than does any other county. Therefore, the beliefs held by that elected official are always at the center of any dialogue about criminal law in Arizona. Given that, I know many were curious about the approach and the tone he would take at the debate, a debate he had proposed. Out of the gate, he found no value to the report that came out of the law school’s Public Policy Incubator Program. In fact, he gave short shrift to any lessons offered up by other jurisdictions, saying that Arizona’s border-state status makes it difficult to compare and apply other states’ methods. That may be an entirely defensible position. But it means that the coming year or so in the sentencing dialogue will be a hard slog, rather than a collaborative effort. But why should any topic in Arizona be otherwise? More photos from the event are on the Arizona Attorney Magazine Facebook page. 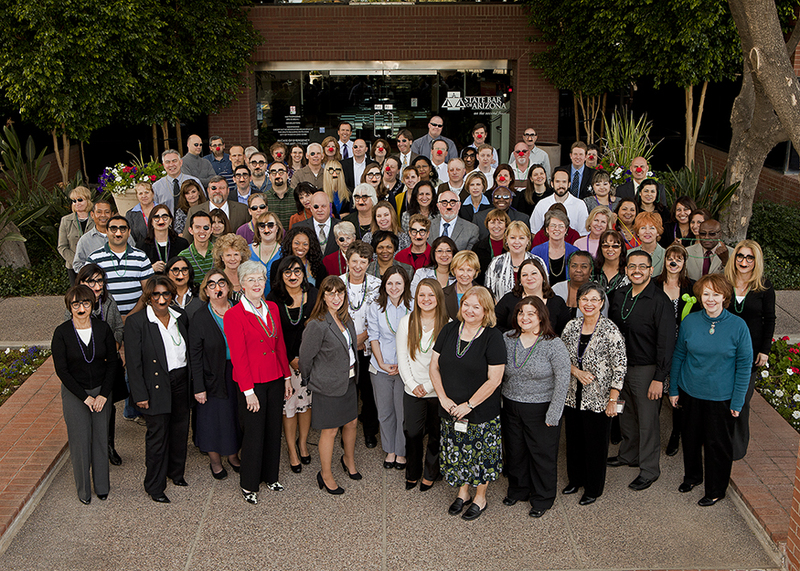 Yes, I know I just posted the State Bar’s first-ever staff photo (originally written about here). But what was I thinking when I omitted the fun version? Moments after the first photo was snapped, a variety of embarrassment-inducing items were produced, and many of us adorned ourselves, slaves to fashion that we are. Among our choices: clown nose, Mardi Gras beads, pirate eye patch, and the classic eyeglasses-with-nose-with-moustache. Enjoy (click on the image for a larger version). And I’m the one with the red nose.